The banking, employment, corporate, trusts and estates, and real estate attorneys at RSF&B provide comprehensive expertise in the firm’s various areas of practice. Emphasizing a team approach among our partners, associates, paralegals and support staff, the firm’s attorneys are able to provide the best legal guidance possible. As a boutique firm, RSF&B can assure clients their concerns will be addressed by experienced partners who will give them full attention and respond quickly and nimbly, all while managing to keep overhead much lower than a larger firm. The various specializations among our attorneys allow them to best serve the diverse needs of the firm’s clients. RSF&B provides the most professional and cost-effective representation available, so clients can be sure they receive solid results. 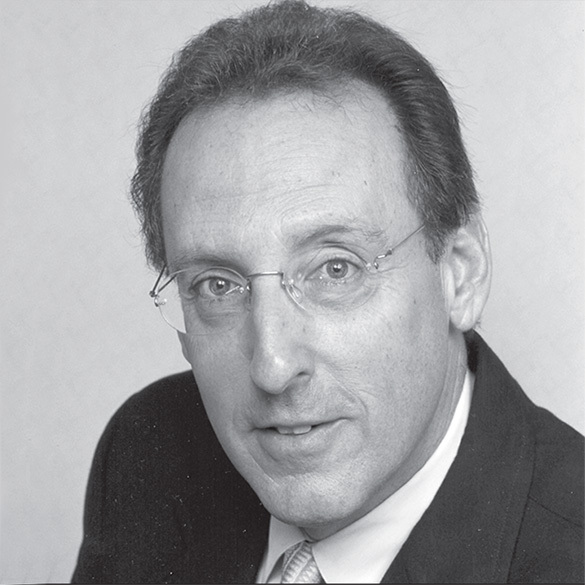 Robert Benowitz is recognized widely for his extensive experience and expertise in complex employment matters. For decades, he has been successfully representing business executives, physicians and other professionals, public and private corporations, start-ups and not-for-profit organizations on a broad range of legal issues. Mr. Benowitz’s clients include executives, professionals, employees and partners at many of the nation’s leading businesses, including: a significant number of large pharmaceutical and medical device manufacturers; financial institutions; private equity firms; hospitals; academic institutions; and professional firms. He has significant experience developing and negotiating employment, severance and non-competition agreements and in representing clients in employment matters involving employment transitions, including change in control, contract and bonus disputes, and discrimination claims. Having served as an attorney with the U.S. Securities and Exchange Commission (SEC) in the Division of Corporate Finance and the Division of Enforcement, Mr. Benowitz’s practice also focuses on securities laws and general corporate matters. He has special expertise in SEC enforcement matters, securities industry arbitrations and litigation, and SEC compliance and governance issues. Mr. Benowitz’s practice also covers a broad spectrum of transactional work, including acquisitions and divestitures, formation and financing of new ventures, strategic alliances and joint ventures, and licensing, distribution, outsourcing and marketing arrangements. Mr. Benowitz earned his B.A. from American University School of Government and Public Administration and his J.D. from New York University School of Law. He lives in New York City with his wife and serves in the following volunteer positions: President of his residence cooperative; Board of Director of the Neighborhood Playhouse School of the Theater and President of The Sedgewood Club in Carmel, NY.